You can't help but be moved by the beautiful writing of Amanda Prowse, I thought I had got away with it this time as I bragged half way through the book that there were 'no tears yet'. I did indeed speak too soon; Amanda Prowse could write a shopping list and I'd cry reading it. Lucy put her career above her personal life but there was a very good reason why she threw herself into her work and avoided relationships. Relationships only end in hurt, after all, but then she met Jonah and the earth really did move. The two are perfect together, both have successful careers and they even got married in their lunchbreak. That's probably something I would do, if I ever had a lunchbreak of course! Jonah has a daughter from a previous relationship, but as they broke up before the baby (Camille) was born he didn't experience everything that a baby can bring. Lucy and Jonah are therefore overjoyed when Lucy finds out that she is pregnant and Lucy starts knitting baby clothes, however, the pregnancy was not meant to be and Lucy suffers the devastating effects of a miscarriage. With more positive pregnancy tests, more miscarriages and a visit from an unruly step-daughter in store, can Lucy and Jonah survive the future? 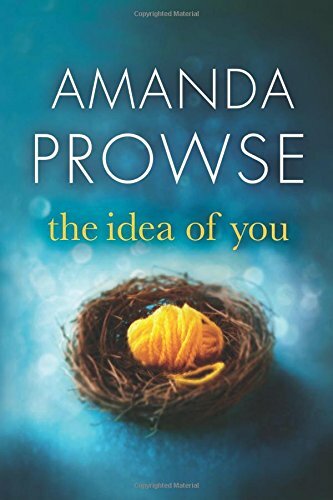 The Idea of You is such a beautiful book by Amanda Prowse, giving a voice to so many women who have suffered in silence. It's only a bunch of cells after all. These women are mothers without a baby and they carry them within their heart if not in their womb. 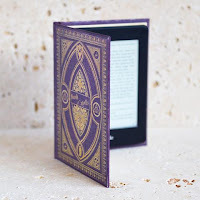 I have read a few books with miscarriage or infertility as a topic, and I find one thing to be a common denominator: childless women being asked the seemingly innocent question - when are you going to have children? Perhaps we should think twice before asking such a question as it may seem innocent to the asker but so very hurtful to the askee. It's almost as if miscarriage is a taboo subject; it was never born so it wasn't a baby. Wrong, so very wrong...it was a baby from the first positive pregnancy test and don't let anybody tell you otherwise. So very real, poignant and moving The Idea of You is another fabulous book from Amanda Prowse. As a bit of a knitter, I loved the inclusion of the almost lost art of knitting and the reverence with which the garments were placed in the trunk for safekeeping. So many women think a baby will complete them, which results in a blinkered life. Open your eyes and see how blessed you are...Amanda Prowse reminded me of that.